Avril Lavigne addressed the fact that not only is she alive, but she was never replaced with a look-alike double, despite the viral conspiracy rumor. Avril Lavigne finally addressed the conspiracy theory rumors that she died and was replaced by a doppelganger. On Wednesday, the singer, known for her early millennium hits such as "Sk8er Boi" and "Complicated," addressed the fact that not only is she alive, but she was never replaced with a look-alike double to distract paparazzi during her five-year hiatus away from the spotlight. "Did you laugh at the rumors that went around where you no longer exist and there's a clone of you?" the 34-year-old singer was asked in an interview with Australia's KISS 1065. "Yeah, some people think that I'm not the real me, which is so weird!' she replied. "Like, why would they even think that?" 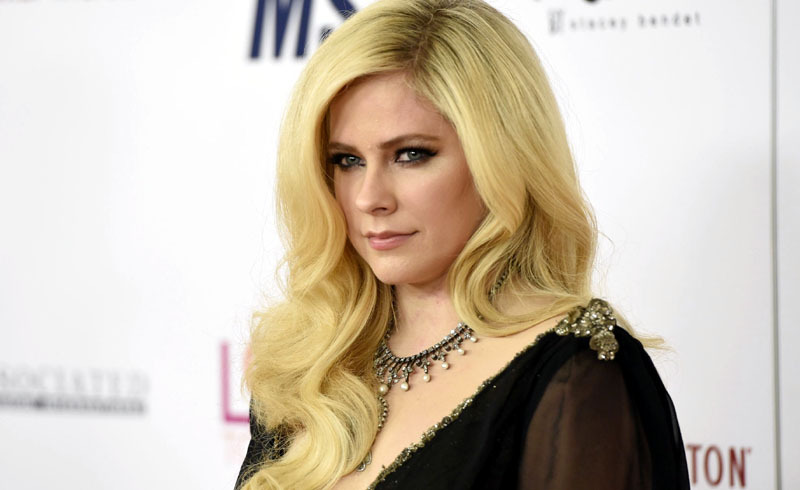 The rumors of Lavigne's death appeared after her grandfather died in 2003. The singer, who was reportedly very close to him, took his passing pretty hard and led some conspiracy theorists to believe that she took her own life. Following Lavigne's purported death, seeing that at the time she was at the peak of her fame, an Avril Lavigne doppelganger was allegedly hired to distract the paparazzi. The Lavigne replacement was said to be a girl named Melissa Vandella. According to E! News, the wild fan theory originated in Brazil but took on a life of its own thanks to social media. Fans went as far as to say that the singer's change in style over time and cryptic song lyrics suggested that the real Lavigne had in fact died. But in 2017, the theory took a turn when a user pointed out "evidence" suggesting that Vandella was not the real Avril Lavigne. And despite the conspiracy rumors, Lavigne has released a new single, "Head Above Water," her first song in five years.